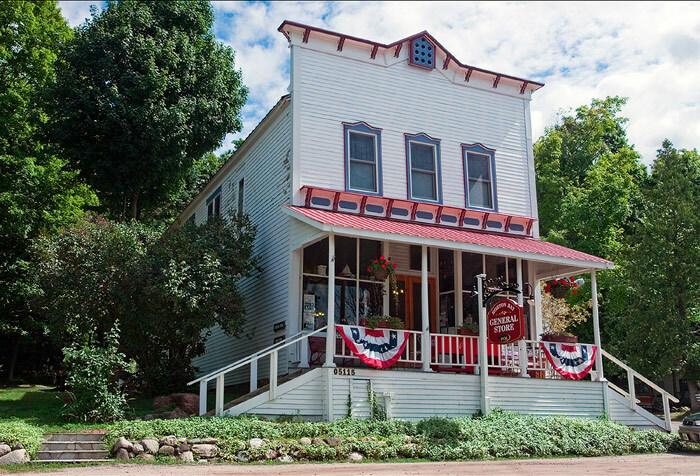 Built in 1876, the Horton Bay General Store has changed very little and is still a main gathering place. A young Ernest Hemingway would often canoe across Walloon Lake from his family’s cottage and hike about four miles through the forest to visit friends at Horton Bay. Many of his Nick Adams stories take place around this area. Photo © copyright by Mike Barton.